Several years ago, someone in my family brought a CD home to Eyrie Park and played it on our twenty-five year old stereo system in the living room. During the subsequent Christmas months, we played “Behold the Lamb of God” once or more a day. We were officially mesmerized with the music of Andrew Peterson. Shortly after that, my kid brother got his hands on a copy of Peterson’s book, On the Edge of the Dark Sea of Darkness, and we’ve been collectively geeking out ever since. For these reasons, I am thrilled to introduce you all to our next guest author (and give three of you the chance to win a copy of one of his books)! Andrew Peterson is a man of many talents with a successful recording and song writing career, as well as being an award winning author and the host of a highly popular online creative community known as The Rabbit Room. Andrew hails from Nashville, Tennessee. Everly: Hi Andrew! Welcome to Kindred Grace and The March of Books! Thank you for joining us. We’re thrilled to hear about you and your writing, both of books and music. How did you start writing in the first place? Andrew: I’ve always wanted to write a big, epic fantasy. It wasn’t until my kids were four or five and old enough to handle the Narnia books that I finally had the guts to give my own story a try. Do you have a group that critiques your writing? How do you ensure you are always improving? My brother also happens to be an excellent book editor, not to mention the fact that he and I both grew up reading the same books and geeking out over the same movies. In many ways we speak the same sort of story language, which means that I trust his opinion about 90% of the time. After that, the group that critiques my writing the most consists of my wife and three kids. I’ve read all the books aloud to them more or less while I’m writing them, and I’m always surprised by how helpful they are. Helpful and honest. Most of the time I’m writing at a coffee house down the road. Did you always know you’d be a writer when you grew up? Nope. I knew I wanted to be involved in music or books or movies in some way, but I honestly didn’t think I would ever be good enough, or even be presented with an opportunity to become good enough. As far as I knew, the world of art was on another planet. I would have been embarrassed to tell my friends that my secret ambition was to do this sort of thing for a living. Tolkien and Lewis never get old. I love Wendell Berry’s novels, Walt Wangerin’s books, as well as authors like Annie Dillard and Marilynne Robinson. As for old stuff, I keep a G. K. Chesterton book handy at all times. How would you feel if someone wanted to make one of your books into a movie? I’d be thrilled if that person was good at making movies. How do you combat writer’s block, or do you not believe in such a thing? I get writer’s block every single day. I get it between every sentence, after every line to every song. Just stringing a sentence together is an act of hope. Writing has never been easy, or particularly fun, for me, but remembering the thrill of finally finding a decent song or finishing a story and smuggling it off into someone’s imagination is what drives me up and over the blocks most of the time. When I’m working on a book I try to write first thing in the morning till about noon. The goal is at least 2,000 words a day. After that I work on music or tend to the honeybees. What is your opinion of traditional publishing? Is it really going to be a thing of the past? If by “traditional publishing” you mean actual books, no, I don’t think they’ll ever go away. I don’t mind eReaders so much, but there’s nothing in the world quite like a wonderful story printed on the pages of a beautifully bound book. Christians and art haven’t always gotten along. What do you think Christians who write or paint or sing should remember today? In the words of author David Dark, “There’s not a secular molecule in the universe.” And in the words of Gerard Manley Hopkins, “The world is charged with the grandeur of God.” And in the words of Jesus, “Behold, I am making all things new.” I think art is one way God has invited us into proclaiming the new creation, making little signposts that point to the Kingdom. Your books have a lot of fantastic elements. Have you always enjoyed fairy tales? For as long as I can remember, dragons and trolls and giants and mystery and adventure have held an irresistible allure. Do you ever travel for research? Nope. But my music career has allowed me to see quite a bit of the world. With this series it was because I remember some scary stuff about being a kid. I wanted to tell a story that would strike a little match of hope in a kid’s heart that the light is stronger than the darkness. Of course, I hoped the same for the grown-ups who would read the story, too. Do you create an outline for each book or just keep the plot in mind as you go? I had a very loose outline of the beginning of each book, just enough to get started, and then the story more or less went its own way. I guided it a little, but some of the most significant turns caught me completely by surprise. What is something most people don’t know about you or wouldn’t expect? Okay, here are a few random facts: 1) I used to have long hair and play in a terrible rock band. 2) I’ve kept bees for four years and I’ve never been stung. 3) I’m a total sucker for a good television series. 4) I’ve seriously considered saving up to buy a hot air balloon. Yes, all the time. In The Wingfeather Saga you’ll meet versions of my children, my dad, my musical hero, my dog, and some sweet friends from Iowa. Which book has been the most fun to write? I have fond memories of writing North! Or Be Eaten at a local Starbucks while two of my best friends were recording an album at a nearby studio. We had lunch or coffee together almost every day. It was so fun to be doing good, creative work, work that we all felt God had called us to, and to be doing it in community. 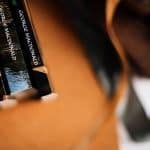 How different is the process of writing books and writing songs? Which comes more naturally to you? They’re both just as easy and just as hard in different ways. They both require a lot of work, a lot of discipline, and a lot of failure. Books are more of a steady, patient kind of work, while song writing tends to happen in spurts of activity. With both, it’s a matter of finishing. Anyone can start a book or a song—the hard part is bringing it home. And neither of them come very naturally to me—what comes naturally is sleep and food and watching one more episode on Netflix. The creative act is always a battle. How do I know if I’m supposed to be a writer? As a wise friend once said, “Your community defines your calling.” That means, listen to the people around you—your family and church and pastor and your honest friends—and hearken to what they see in you. Too many people get these weird, deluded American Idol-type dreams when they clearly aren’t gifted in that way. Our culture sometimes says things like, “You can do anything you want if you put your mind to it.” That’s baloney. I was not meant to be a dancer or an astronaut or an accountant. If you love to write, you should write. You should submit your gifting to God for the building of His kingdom, and you should move forward in faith. If the wise people in your life are affirming that, and if doors are opening to you, then your real job is simply to say “yes” to what the Lord puts in your path. Andrew is graciously sharing three sets of his four-book Wingfeather Saga with our readers (U.S. mailing addresses only, please). Enter below! Ariaun says . . . I LOVE the Wingfeathers and would love to share them with friends! My family would love to read these books! A. M. Reynwood says . . . This interview was great, I love learning that the authors to my favorite books are real people, too. Enjoyed reading about Andrew! So enjoy your blog! Anna K Morgan says . . .
Love Andrew Peterson and his music! 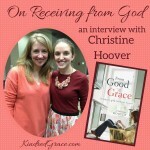 The Rabbit Room has introduced me to so many excellent Christian authors. Jordan Newhouse says . . .
Love love love Andrew Peterson’s music! It’s been especially meaningful this past year because Light For The Lost Boy was one of the albums I listened to as I drove from my AZ to KS to take a new job and live away from my family for the first time. Many Roads (I think that’s the name of the song) has been a favorite as “my many hopes, and my many fears” carry me along on this new adventure. I’ve been wanting to read some of his fiction! Andy Rogers says . . . I couldn’t agree more about creating in community. I would have nothing published if it wasn’t for the constant encouragement of my writers group. Thanks for the chance to win his books! Josh Mosey says . . . I loved the Wingfeather Saga. I’m a huge fan of Peterson’s writing. I wonder if he’s considered writing non-fiction books about creativity. Carrie D. says . . . Thank you for this chance to win. I have had these books on my wishlist for a long time. Peter says . . . I know I am not in the running as this is for US addresses only and being from Australia excludes me. Really love Andrew’s music and have a number of his albums. As for books, C.S. Lewis Nania impacted my life so significantly I wept my heart out when I finished the last book. Just think it was a God thing. Will try to get Andrew’s books some place and hopefully be inspired. Jori says . . .
Our family heard about the Wingfeather Saga before we knew Andrew was also a musician. In my mind, he is an author first (although I know the chronology is wrong)! Georgina says . . .
MRose says . . . Thanks so much for the amazing giveaway and interview! Heather Foster says . . .
selma says . . .
Penny says . . .
My entire family loves this series. My husband read them aloud to our 4 children. They were younger when he started but by the time they finished The Warden and the Wolf King they were almost 20, 18, 16, and 14 and still LOVING the story and voices their dad gave the characters! Andrea Cavanaugh says . . .
I’m so grateful for Andrew Peterson’s music. In particular, it ministered me greatly during a trial of infertility, and now I look forward to introducing his music to our little boy whom we adopted last year! Jayna says . . . The Wingfeather Saga will forever be my favorite series I’ve read aloud to my children. We haven’t read the last book yet, but hope to do so soon! Kelley says . . .
Adam P says . . .
My wife and I are reading Wingfeather to our daughter now. It is wonderful. Thanks for sharing these behind the scenes details. Allan Burleson says . . . Interesting. Enjoyed learning more about Andrew! Deborah Stockwell says . . . Thanks for this interview – and the opportunity associated with the giveaway. Sounds like a neat series! Nathan says . . .
I’ve read the first of these books to my oldest two kids. I can’t wait for all five of my kids to get to listen and read through these books. They are far and away the best books that I’ve read that were written in the last decade with kids in mind . Anna Robertson says . . .
Holly says . . .
We LOVE these books! Each one is better than the last. Jesse Marie says . . .
Oh I love this series! I’m newly married and I can’t wait to read them to my kids one day! Marjorie Vogel says . . . I would love to read any of these books, and I already have a friend, who wants to borrow them, If I should win.I understand they are a treasure to be shared, and to own. Thank you. linda kilner says . . .
I’ve already decided to get the series for the 3 boys I’ve had the awesome privilege to babysit for the past 6 years! They will get so much out of the books! They are so adventures and will relate so well to the books! Whether I win the books here, I will be getting those boys the Wingfeather Saga for sure. Emilee says . . .
My siblings and I LOVE the books. They are encouraging and delightful to read. We own almost all of his albums and have read all the books. 🙂 We got to meet him last year when we were passing through Tennessee. I have loved Andrew Peterson’s music for a very long time, but I’ve never read any of his writing – thank you for offering the opportunity to do so! Nick says . . .
My family loves AP. Can’t wait to read these to my son. Tara says . 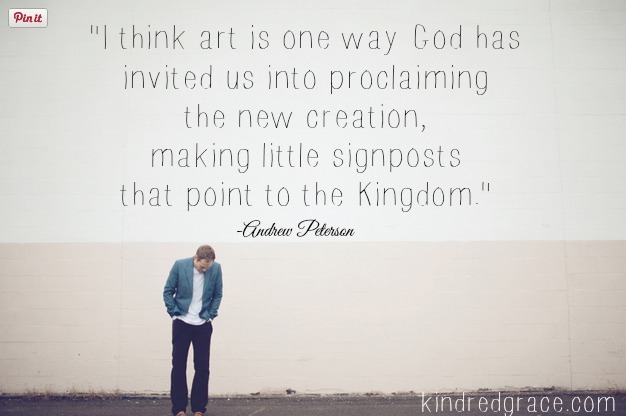 . .
We love Andrew Peterson’s series. Would love to have a set to give as a gift. Thank you! Wade Parker says . . .
Debra K says . . .
We LOVE Andrew, his music & his books!! Zach says . . . I love Andrew’s music , but I haven’t yet read any of his books…. Hope this provides me the chance! I got my first copy of On the Edge of the Dark Sea of Darkness for Christmas while I was pregnant with our firstborn. After reading it, I seriously considered naming him Janner! Rachel McC says . . .
Borrowed these to read–would love to own them!! Tracy E. says . . .
I’ve heard wonderful things about these books. I just recently put them on my wish list for the kid’s reading list. Whitney says . . . I have so enjoyed Andrew’s music. Our kids listen to it at bedtime. I really hope we win a copy of these books. Kim says . . .
We love, love, love the Wingfeather series and would like to share them with others. They make great gifts. An says . . . I too have loved Peterson’s music since the moment I first heard – poetry & music meet in a beautiful marriage. My son and I have read the books and enjoyed them immensely. My family and I enjoy Andrew’s music so much! Can’t wait to share this interview with my 13 year old daughter who seems to be on the same creative track as Andrew has taken. So wonderful to have another positive role model for her. Thanks! We LOVE Andrew Peterson’s music and books! Matt Jerles says . . .
I’ve been a have of Andrew Peterson’s music for years. I know my oldest son would love to add these books to our collection. Leigh says . . . I have loved Andrew Peterson’s music for a long time (caught the BTLOG tour on it’s first run in 2000, I think), and was very excited to find out he had authored these books. I can’t wait for my kids to be old enough to share these stories with them. Thanks for allowing God to use you for His glory! Sooki says . . .
wonderful books! I read them myself and am now reading them to my boys. They want their school library to have them so that’s why I’m entering the contest! Tania says . . . I have only recently ‘discovered’ Andrew Peterson. I haven’t read any if his books yet but have listened to his music and I love it. Would be great to own these books. I love AP’s music ! I have yet to read any of his books but would love to! Rebekah Russey says . . .
Matt says . . .
My 7-yr-old daughter & I are finishing Narnia, and this will be the perfect followup series! Thx! Laura Meyer says . . .
Have loved Andrew for a long time! I got all the books for my brother and he loved them! Great reads for all ages! Dara says . . .
Greta says . . . I love Andrew’s music! I keep meaning to read his books. Wes says . . .
Andrew is one of my favorite singer/songwriters, & I have been wanting to read the Wingfeather Saga for some time now. Incredible songwriter, no surprise that he should be a wonderful author as well. The Wingfeather Saga is one of the only series in years to both make me laugh out loud and bring me to tears. I’m really hoping some talented movie folks will take notice of the series and adapt them. Andrew Peterson is a very visual writer and the books lend themselves to a screen adaptation. And of course, I’m eagerly awaiting his next foray into literature! Tanya says . . .
I’ve loved Andy’s work for a long time and am excited to see what he will do next. J Kaye says . . . Excellent series. Would love an additional copy, so I could give them away and further spread the word about this awesome literature. Kendra Gaines says . . . I absolutely love Andrew Peterson’s writing and music. My husband has yet to read anything from him, but since he is a huge Tolkien fan, I’m pretty sure he will enjoy Peterson’s work. I’ve not heard of these books, and would love to read them! Thanks! Joshua Bridges says . . . I think he’s nails my writing process fairly well. Every word IS a battle, and one that’s easy to lose. God knows I lose that battle enough. Kristi Wicklund says . . . I have loved Andrew Peterson’s music since my children were small and was delighted to see he is now writing! We have just started book #3 and love them! Laura Patterson says . . .
Can’t wait to read book four!!! Melanie Brown says . . .
Love your music, but never knew you were an author also! Angel says . . .
My son loved these books and has been dying to own his own copies! Jana Driggers says . . .
Taylor says . . . I looked for these books in a bookstore today! Thanks for the giveaway! Julie D says . . . I really like both your music and your books. Warden and the Wolf King is sitting upstairs right now, waiting for some free time. Kira Howard says . . .
Great Interview!! I Love To Know What Inspires people. Sarah W says . . .
Our family loves these books! We would give them to another family if we win. Beckah says . . . This was a really interesting interview! The Wingfeather Saga are some of my favorite books! This is one of the most masterfully written series I have ever read. Andrew Peterson is a joy to read, and his influence by Tolkein and Lewis is easy to see. 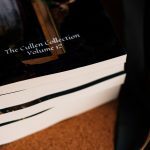 These books are of the same caliber – praise I do not give lightly! Rachel L. says . . .
Would love to win these! I’ve read the first three and am excited for the fourth. Kansas Mom says . . . I love the CDs and have been trying to get my hands on the books! Barb Fuller says . . .
Several of my friends have been in love with these books, so I want a set for myself! Emily niswonger says . . . I have started the second one but haven’t been able to finish it. Love his music though! 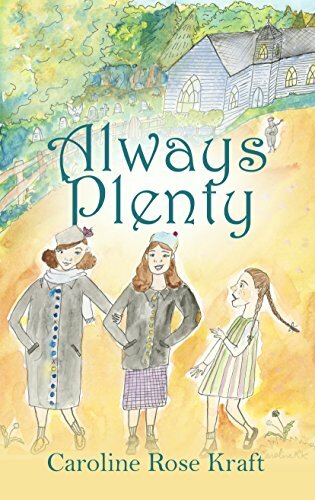 The Wingfeather series is absolutely wonderful. The Warden and the Wolf King is in particular one of the best books I’ve ever read. Love to give these books away! Jill says . . . I would love to own a copy of these books! Samantha Nicole says . . . I loved reading these books, and I’d love to donate a set to my student library!!! I’ve read the first two and loved them! 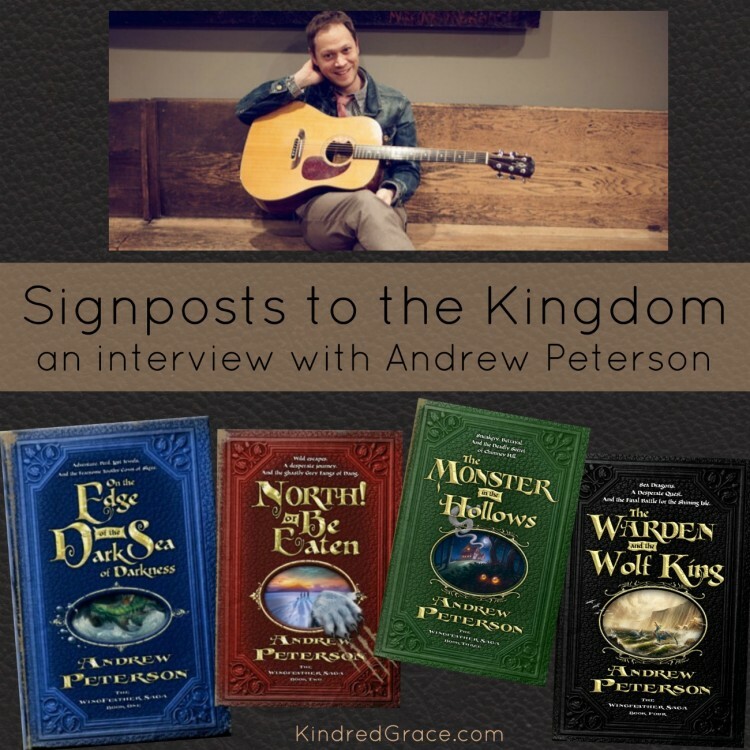 Andrew Peterson is one of our top 5 favorite recording artists and we LOVE the Wingfeather Saga! I already have a complete set, have given away a complete set, and now I’m considering buying another set to give away to another friend. They are worth it… but winning a set would be easier on my budget! 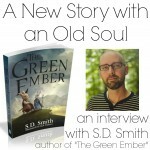 Wingfeathersaga.com has a “book club” currently reading through the books and a discussion forum, which I have been enjoying. Steven Germany says . . .
I’ve been a fan of his music for years. I’ve read the first two books and can’t wait to finish the series. My son is four, and I look forward to sharing them with him soon. Sheila says . . . I can’t wait till my kids are old enough to read this aloud! Rebekah says . . . I really want to read these books… and plan to read them again with my kids when they’re older! Janice Scott says . . . The Father has used this gifted artist to bless my family in so many ways. I daresay each of my kids knows ALL the lyrics to every song of his that we have! Ryan Killion says . . .
Great books and a great article! Thanks! Anxiously waiting for a new book from him. Chantelle Grubbs says . . . I fell in love with a song called “Nothing to Say” when I was about 13 years old, and over the fourteen years between then and now, I continued to fall in love over and over again with album after album of Andrew Peterson’s. If there is one artist that speaks my heart– both in the darknesses and in the light– and speaks the truth of this world, it’s Andrew Peterson, and his book are the same. I can’t wait to have kids to share the Wingfeathers with. My nieces are ALMOST old enough now. Tiffany says . . . I have read these books twice. I have four boys and would LOVE to win this set!!! Jessica T. says . . .
You have certainly done so, Mr. Peterson, at least for me. Thank you. Debbie Hostetler says . . . I have been greatly blessed by Andrew Peterson’s music and share it with my friends constantly. He puts such thought into his lyrics and expresses his messages well. Eli says . . .
I’m glad to know I’m not the only one out there who loves writing (and having written) but also finds it a struggle to write most of the time. Such a fun interview to read! If you’ve never listened to Andrew Peterson’s music or read his books, do yourself a favor and do so immediately! Joel says . . . Loved the interview! I have been a fan of Andrew Peterson’s music ever since I listened to the album Counting Stars, and his writing ever since my brother gave me a copy of On The Edge of The Dark Sea of Darkness. It would be awesome to get a complete set of these books. I could give away the books I already own so more people could read this awesome writer’s stories! I read the first book in the series, but I have yet to buy (or perhaps win 😉 ) the other books. Josh Simons says . . .
Super cool, hope I win! I love the life that flows through APs work. Valerie (Kyriosity) says . . .
c r weathers says . . .
my son loves this first book! Ty says . . .
My wife and I have been greatly blessed by his music and writing. Kathy says . . . Pretty please and thank you ever so much! Carina says . . .
Melissa Kaiserman says . . .
Ooooh, I have been longing for our family to have our own copies of the Wingfeather Saga! The wait at the library is pretty long and someone always has a hold, so no renewals. It makes it difficult to read them aloud! Fantastic giveaway! Looks interesting! Love that you write songs and books.